Choose a plan that’s right for you & start setting up your account. We have different subscription options so you can find the perfect fit. It’s like wearing yoga pants errrryday. Love going out? Prefer to stay in? 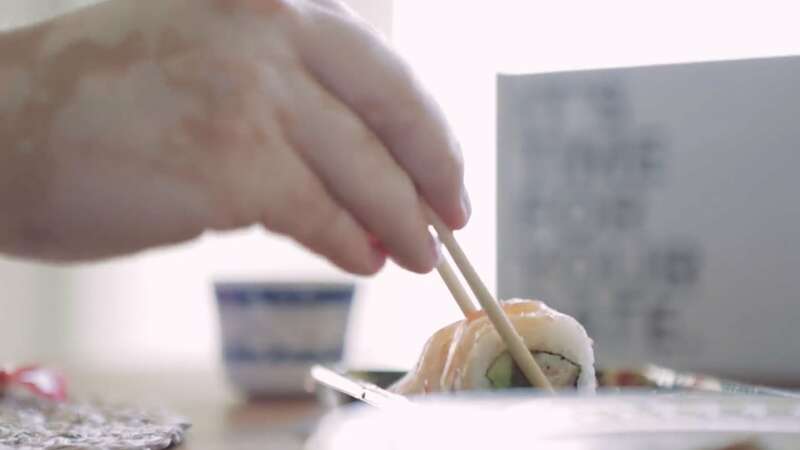 Maybe you love trying new restaurants, but hate sushi? We get to know you as a couple—your personalities, likes, & dislikes—and then curate your perfect date. Dreamy. Your date will arrive around the 15th of every month. It’s always a surprise, completely planned, & ready for you. It’s like your birthday & Christmas at the same time. Give Datebox a try—if we aren’t your type, it’s easy to cancel. Our plans start at just $7.99/month! Date night doesn’t have to break the bank to be awesome. Learn more about our plans. With Datebox, everything’s planned, prepped, & paid for. All you crazy kids have to do is fall in love some more. You’re sooo in love, but sometimes jobs, bills, kids, & the stresses of life just get in the way. We get it. Datebox gives you intentional time to slow down & enjoy each other. Kiss your boring dates goodbye. We create unique, exciting dates you can’t get anywhere else. We even include a custom playlist & conversation starters for your date. Sweetness. We believe consistent quality time together builds better relationships. We send you dates once a month so can you keep quality time with your love a priority. * Plans automatically renew. Cancel anytime. What’s included in our date? Your date is a surprise & it’s different every month! If we send you an at-home date, it will include games, fun activities, how-to classes, snack & drink recipes, keepsakes, and more. If we send you a local date, you may be headed to try a new restaurant, take a tour, or go on an adventure. You’ll get detailed information about where you’re headed, plus unique voucher codes to redeem your date when you arrive. Every date also comes with a complete date guide, custom playlist, & conversation starters so you can get to know each other more. If you select a Datebox Digital subscription, you’ll get a monthly download with pre-planned date guides, games, activities, recipes, conversation starters, & playlists from Datebox, but in a digital download format. When we send you an at-home date, we’ll ship it to you via USPS Priority Mail. If you receive a date in your city, your downloadable date guide & unique voucher codes will be delivered to your user account & email. Datebox starts as low as $7.99/month. We have plans that fit every couple. Check out our pricing page to pick the one that’s right for you. When will our first date arrive? Yes! Monthly subscriptions can be cancelled at any time. If you subscribe to a 3- or 6-month plan, your cancellation will take effect prior to your next renewal, but you’ll still get the remaining dates that you’ve paid for on your plan. Magic. Really though—we’ll ask you a series of questions to learn about your interests, personalities, likes, & dislikes. This helps us curate the perfect date for you. Why the wait on my date? We want to make sure that every Datebox is an awesome experience for you. We take the time to look at your preferences & send the perfect date every time. Datebox is available in all 50 U.S. states (local dates not available in all cities). Datebox Digital is available worldwide! How can we select at-home dates or dates in our city? After you subscribe, you’ll have the opportunity to personalize your experience by answering a few short questions. Once we have an idea of your preferences, we create your date for you—you don’t have to do a thing. Your surprise date will arrive around the 15th of each month. We may send you out on the town or help you snuggle up at home. Download a free digital date, because we heart you. Your date is on its way! "Love, love, love these thought provoking questions included in the Datebox this month. They certainly got our conversation going." "I always love how Datebox gives us something fun & new to do!" "Homemade ice-cream, living room dancing, and lots of laughing. #getdatebox #loveyou"
“Tonight we did our Datebox and made sushi, created origami, and took time to focus on our relationship."